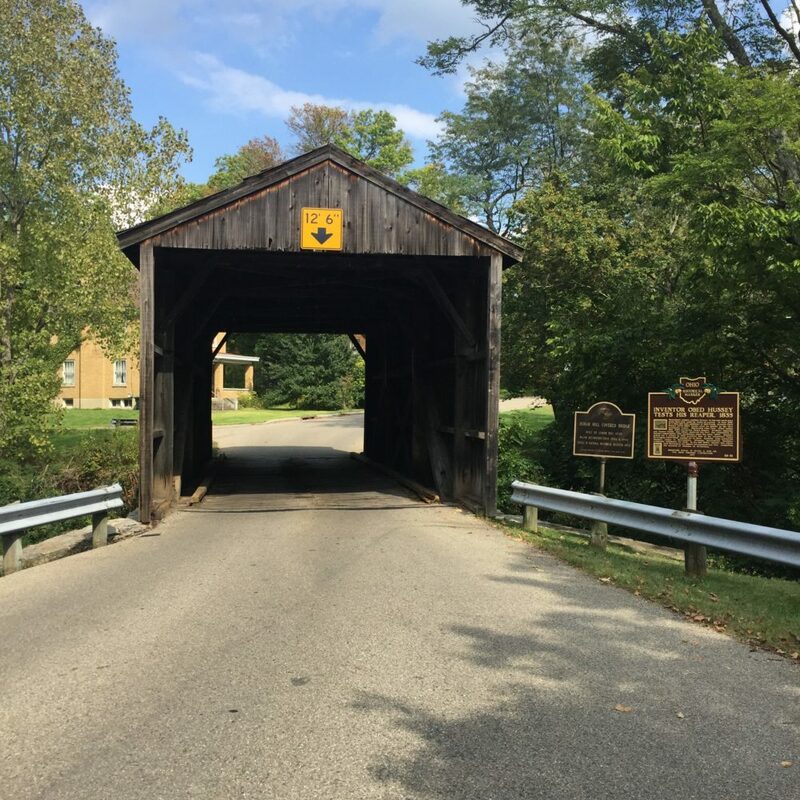 Jediah Hill's covered bridge marks the site of the first test of a mechanized reaping machine in 1835. 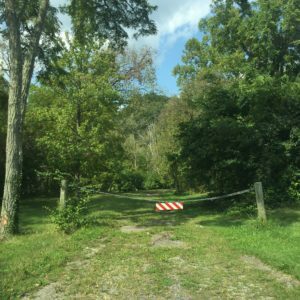 On Saturday, September 9, 2017, a crowd of about fifty people gathered at the Jediah Hill Covered Bridge in Mt. Healthy, Ohio to witness the unveiling of an Ohio Historical Marker commemorating the first test of Obed Hussey’s reaping machine in 1835. The mechanical reaper, which was drawn behind two horses and enabled farmers to harvest much more grain than they could by hand, was tested in Jediah Hill’s barley field near the current location of the bridge. Hill’s son-in-law, Henry Rogers, assisted in the construction of the wooden parts for the reaper, and neighbor John Lane, a blacksmith, forged the metal pieces. 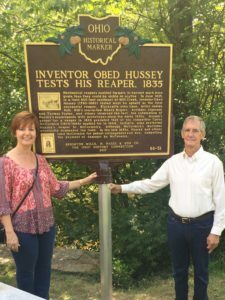 The marker was placed due to the efforts of Bob Rhode and Leland Hite, whose article “Obed Hussey and His Ohio Test of the First Successful Reaper” was published in Engineers & Engines magazine’s October-November 2014 issue. Leland Hite and Bob Rhode gave the welcome address, in which they explained the process of applying for the placement of an historical marker. Mt. Healthy Mayor James Wolf also gave remarks before the unveiling. My dad and me–direct descendants of Jediah Hill. The covered bridge, built in 1850 as part of the capital improvements to the mill, in anticipation of increased business traffic. The lane that leads to the site of the mill and the barn. 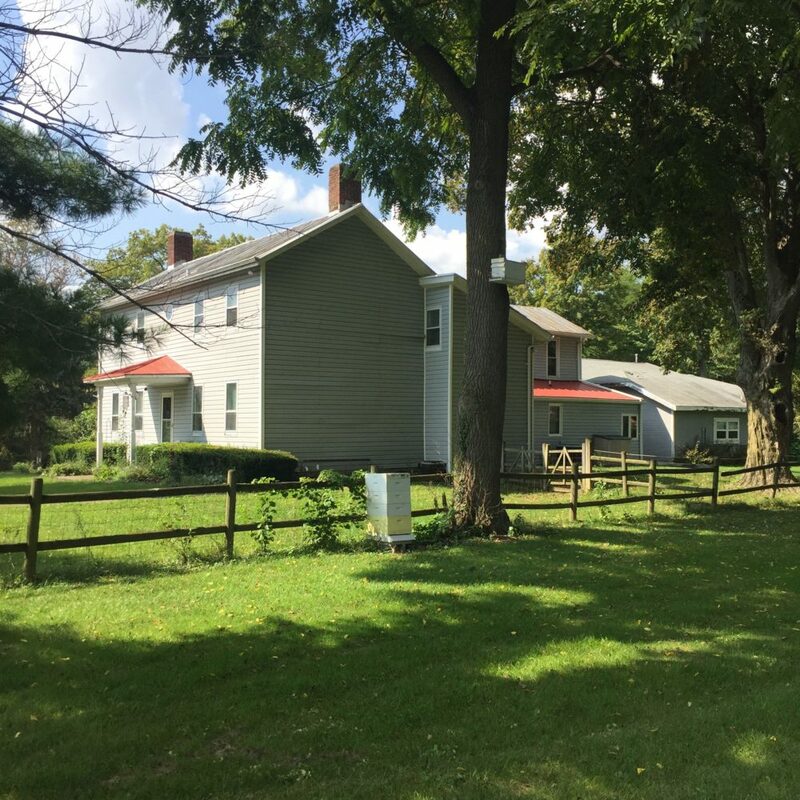 The Jediah Hill homestead, built around 1830.